The fourteenth novel in the classic Aubrey-Maturin series finds Aubrey and Maturin shipwrecked, harassed by pirates and then in the brutal penal colonies of New South Wales. Patrick O'Brian is regarded by many as the greatest living historical novelist writing in English. In The Nutmeg of Consolation, Jack Aubrey and Stephen Maturin begin stranded on an uninhabited island in the Dutch East Indies, attacked by ferocious Malay pirates. They contrive their escape, but after a stay in Batavia and a change of ship, they are caught up in a night chase in the fiercely tidal waters and then embroiled in the much more insidious conflicts of the terrifying penal settlements of New South Wales. 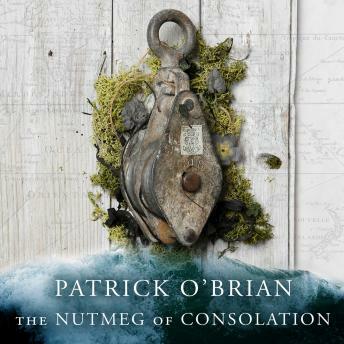 It is one of O'Brian's most accomplished and gripping books.